California has experienced six of its most destructive wildfires in just 10 months. 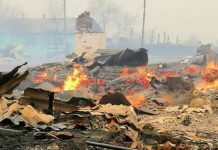 The fires have charred more than 10,000 structures and claimed dozens of lives. The Carr Fire near Redding has joined five other large fires since Oct. 2017 on the state’s 20 most destructive wildfires list. 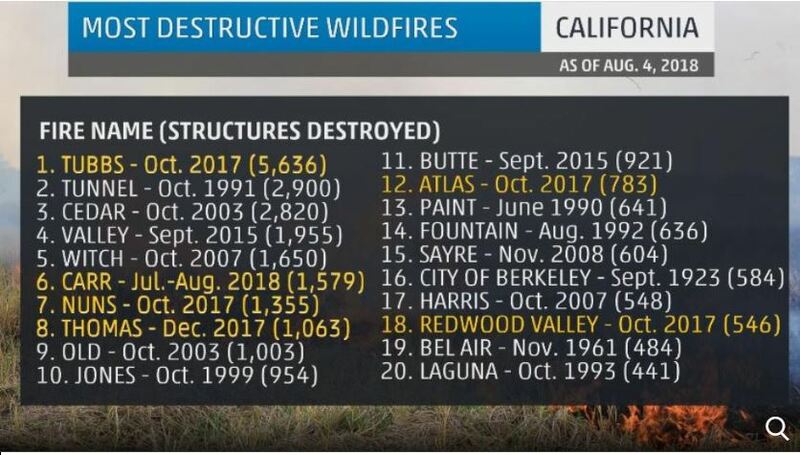 As of Friday night, the Carr Fire had destroyed over 1,500 structures and killed six people, ranking as the sixth most destructive wildfire. 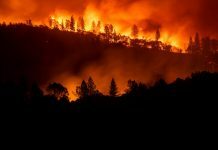 Last December’s Thomas Fire and four wildfires from October 2017 – Tubbs, Nuns, Atlas and Redwood Valley – are also on the top 20 list. These six wildfires have destroyed 10,966 structures and killed 48 people. The Tubbs Fire in Sonoma County last October is the worst of them all, accounting for 5,636 of the destroyed structures and 22 deaths. California is prone to wildfire activity from summer into fall since vegetation is dry. Little rain falls in much of the state during the so-called dry season from late spring through summer. October’s intense wildfires were fed by the Golden State’s second-wettest winter (Dec. 2016-Feb. 2017) and then its hottest summer (June 2017-Aug. 2017). The vegetation that grew in response to the wet winter quickly dried out months later and provided fuel for wind-driven wildfires to burn in the fall. This summer’s wildfires come on the heels of California’s second-driest winter (Dec. 2017-Feb. 2018) and persistent warmer-than-average temperatures. Many cities in California are experienced one of their hottest Julys on record. Redding had its third hottest July on record. Because of this, vegetation moisture is at record or near-record lows for late July in parts of the state, according to Dr. Daniel Swain, a UCLA climate scientist. 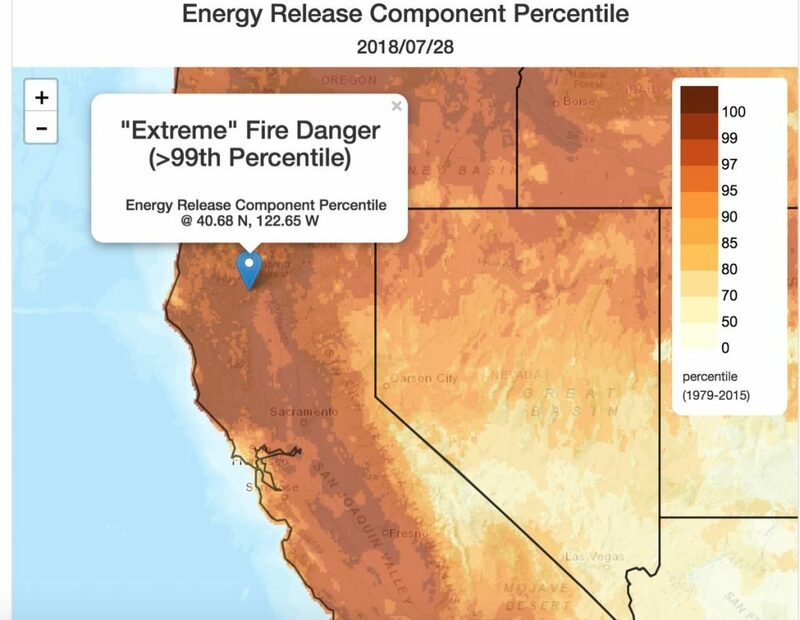 The combination of dry vegetation, hot temperatures and gusty winds make explosive wildfire growth like with the Carr Fire more likely to occur. And please let me add geoengineering. Someone wants California to become a desert, All these fires are intentional, they are made with great enthusiasm. They are burning all those mountains with lasers from space. Space X a few months ago has launched a mysterious satellite into space. If you ask to Eton Musk … He sure knows a lot about fires in California and what is really happening. As always, and it is cohesion, surely these Americans will do some movie with everything that is happening in the mountains of California. They always advertise what they do and always sell or kill each other. Two major problems: the federal forest service and the state forest service do not do control burns. because of the Reagan EPA. The federal forest service will not approve the company that has 5 747’s air tankers; why government paper work, I worked for the Dept of Interior in CA in the 70’s and early 80’s, we did control burns every year and it stopped major fires. 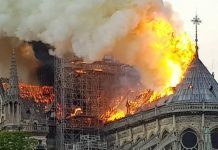 Our enemies are using satellite lasers to ignite the fires. If they cannot take down Trump politically, then they are going to destroy the country physically, it’s that simple. And you know exactly who I am referring to, don’t you ? Time to round them up and kick them out, country #110 !! If they are using infrared lasers they might be visible to cellphone cameras. They wouldn’t be using visible lasers. I enjoy hearing about different perspectives on this horrible problem. What do people know about the elements that are included in chem trails, especially aluminum particulates, being a factor in these fires too. I have read that not only are the particulates extremely flammable, they prevent condensation as well. I’m very open minded about this subject. I do know that the USFS is no longer good stewards of our lands and haven’t been for decades. Plus, the government in CA, I’m a dis-placed native, is nuts and corrupt as hell.